If you like this recipe, you may also like my agua de fresa y mango recipe (strawberry and mango). Mango is a popular agua fresca flavor in Mexico. Mangoes are high in fiber, packed with Vitamin A, C and E, have more than 25 kinds of carotenoids which help boost immunity, and can help lower cholesterol. Ataulfo mangoes are best for this recipe because they are the sweetest variety and also least fibrous texture, which means you'll discard less pulp. Peel the mangoes and remove all the flesh from the pit. Put the flesh directly into a blender or food processor. Squeeze the juice out of any remaining flesh on the pit that is too difficult or rough to cut away from the pit. Add 3 tablespoons of cane sugar and 3 1/2 cups of cold water to the blender or food processor and puree until completely smooth. Place a fine-mesh strainer or sieve over a pitcher and pour the contents of the blender through the sieve. You should only end up discarding about 2 tablespoons or so of the fibrous pulp left behind from the mango flesh. Serve over ice if serving immediately, or refrigerate. Will last about 4-5 days in the refrigerator. Serve over ice. If you don't consume it all, you can refrigerate the rest of the pitcher for up to four days. 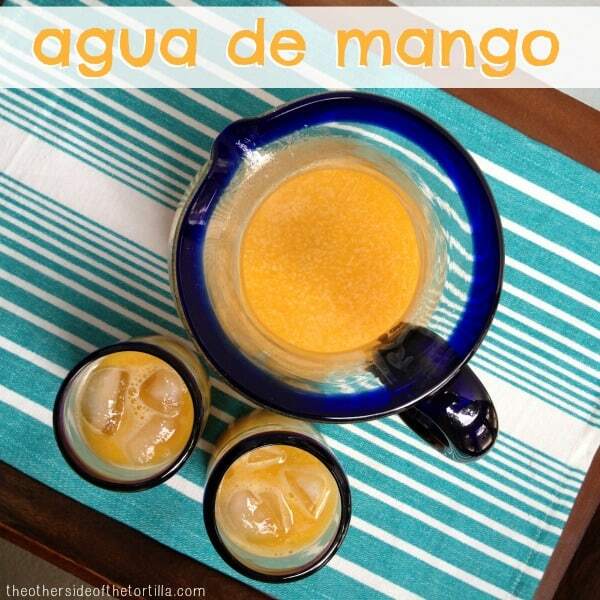 Remember to stir the agua fresca well because the mango puree will separate slightly when at rest. Hi Cathy, I am not an expert in the diet for Type 2 diabetes. 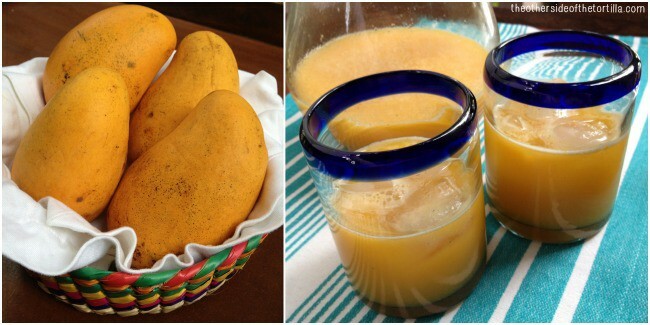 I would suggest that you use extremely ripe mangoes and taste-test. Liquid stevia or Splenda can then be added to sweeten to his liking; but if your mangoes are very ripe, you shouldn’t need much sweetener. If using Splenda, make sure you dissolve it well in the water before mixing the mango in. Let me know how it turns out!